Ramdohrite: Mineral information, data and localities. 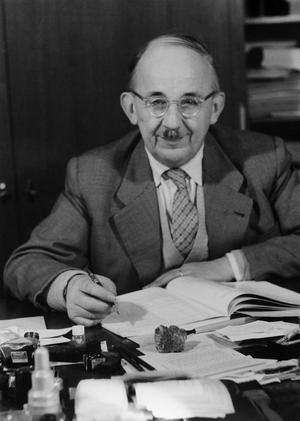 For mineralogist Paul Ramdohr (1890-1985), University of Heidelberg, Germany. Type locality ramdohrite has a significant Cd component (Moelo et al., 1989), and is compositionally close to fizelyite, but it is not known if there is a solid solution (a Cd-rich fizelyite ? ), or a miscibility gap. Space group P21/n. Originally given cell: a = 13.09, b = 19.24, c = 8.73 A, beta = 90.3°. Ramdohrite-Lillianite Group See also Gustavite-Lillianite Series and Aikinite-Bismuthinite Series. Pyrite 1 photo of Ramdohrite associated with Pyrite on mindat.org. 3.4.15.2 Bursaite Pb5Bi4S11 (?) Orth. Ahlfeld (1930), Centralblatt für Mineralogie: 365. American Mineralogist (1931): 16: 132. Palache, Charles, Harry Berman & Clifford Frondel (1944), The System of Mineralogy of James Dwight Dana and Edward Salisbury Dana Yale University 1837-1892, Volume I: Elements, Sulfides, Sulfosalts, Oxides. John Wiley and Sons, Inc., New York. 7th edition, revised and enlarged: 450-451. American Mineralogist (1954): 39: 161-171. 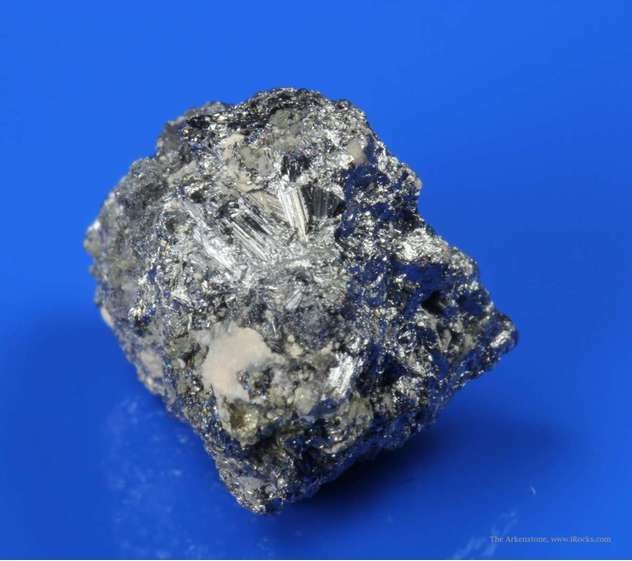 American Mineralogist (1984): 69: 412. American Mineralogist (1985): 70: 219-220. Moelo, Y et al. (1989): Sulfures complexes plombo-argentiferes: mineralogie et cristallochemie de la serie andorite-fizelyite, (Pb,Mn,Fe,Cd,Sn)3-2x(Ag,Cu)2(Sb,Bi,As)2+x(S,Se)6. Documents du BRGM, 167, BRGM ed., Orleans, 107p. American Mineralogist (1991): 76: 2020. Neues Jahrbuch für Mineralogie, Abhandlungen: 147: 58-79. Yang, H., Downs, R.T., Burt, J.B., Costin, G. (2009): Structure refinement of an untwinned single crystal of Ag-excess fizélyite, Ag5.94Pb13.74Sb20.84S48. The Canadian Mineralogist, 47, 1257-1264. Nespolo, M., Ozawa, T., Kawasaki, Y., Sugiyama, K. (2012): Structural relations and pseudosymmetries in the andorite homologous series. Journal of Mineralogical and Petrological Sciences 107, 226-243. Makovicky, E., Mumme, W.G., Gable, R.W. (2013): The crystal structure of ramdohrite, Pb5.9Fe0.1Mn0.1In0.1Cd0.2Ag2.8Sb10.8S24: a new refinement. American Mineralogist, 98, 773-779. Brodtkorb, "Las Especies Minerales de la Republica Argentina" (2002); DE BRODTKORB, Milka K. Precious metaltellurides and other Te-bearing minerals in different paragenesis of Argentina: A review. Rev. Asoc. Geol. Argent. [online]. 2009, vol.64, n.3, pp. 365-372. 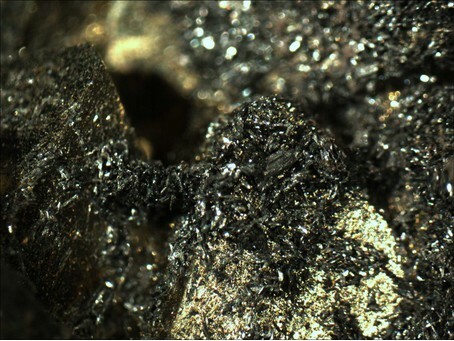 Keutsch, F. & Brodtkorb, M. (2007) Metalliferous parageneses of the San Jose mine. Journal of South American Earth Sciences, 26, 485-491.; Keutsch, F., & Brodtkorb, M. D. (2008). Metalliferous paragenesis of the San José mine, Oruro, Bolivia. Journal of South American Earth Sciences, 25(4), 485-491. Mineralogical Record 32: 461; Makovicky, E., Mumme, W.G., Gable, R.W. (2013): The crystal structure of ramdohrite, Pb5.9Fe0.1Mn0.1In0.1Cd0.2Ag2.8Sb10.8S24: a new refinement. American Mineralogist, 98, 773-779.
collections of Alfredo Petrov & Jaroslav Hyrsl. Strashimirov, S., Dobrev, S., Stemenov, S., & Dragiev, H. (2005). Silver-bearing minerals from the ore body “North” in Sedefche epithermal Au-Ag deposit (eastern Rhodopes). Annual of the University of Mining and Geology “St. Ivan Rilski, 48, 143-148. Y. Moëlo, E. Makovicky and S. Karup-Moller : "Sulfures complexes plombo-argentifères : minéralogie et cristallochimie de la série andorite-fizelyite", Documents du BRGM N° 167, 1989. Wittern, Journée (1997): "Mineralien finden in den Vogesen", von Loga (Cologne), pp. 36-37.
ⓘ Rampura-Agucha Zn-(Pb) deposit ? Holler, W. & Gandhi, S.M. (1995) Silver-bearing sulfosalts from the metamorphosed Rampura Agucha Zn-Pb-(Ag) deposit, Rajasthan, India. Canadian Mineralogist, 33, 1047-1057. Boev, B., Stojanov, R., Denkovski, G. (1993): Geology of Alshar polymetallic deposit, Macedonia. Geol. Maced., 7, 35-39. 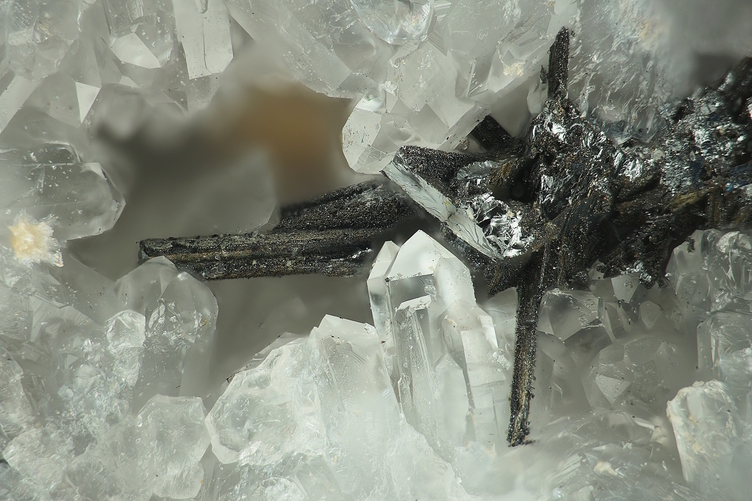 Papp, Gábor, Alan J. Criddle, Chris J. Stanley, László Kriston and Géza Nagy (2007): Parajamesonite revisited: background of the discreditation of an enigmatic mineral species. Swiss Journal of Geosciences, 100, 495-502. Seltmann, R., Soloviev, S., Shatov, V., Pirajno, F., Naumov, E., & Cherkasov, S. (2010). Metallogeny of Siberia: tectonic, geologic and metallogenic settings of selected significant deposits*. Australian Journal of Earth Sciences, 57(6), 655-706; Gamyanin, G. N., Anikina, E. Y., Bortnikov, N. S., Alpatov, V. V., Borisenko, A. S., & Nosik, L. P. (1998). The Prognoz silver-polymetallic deposit, Sakha: Mineralogy, geochemistry, and origin. GEOLOGY OF ORE DEPOSITS C/C OF GEOLOGIIA RUDNYKH MESTOROZHDENII, 40, 391-407. Bateman, Paul C. (1965), Geology and tungsten mineralization of the Bishop district, California: USGS PP 470: 130; Pemberton, H. Earl (1983), Minerals of California; Van Nostrand Reinholt Press: 139, 333. Quigley, Tom, and Mahin, Bob, 2008, Back Forty Geology and Mineralization: Proceedings of the Institute on Lake Superior Geology, v. 54, Part 2 - Field Trip Guidebook, 66-85.